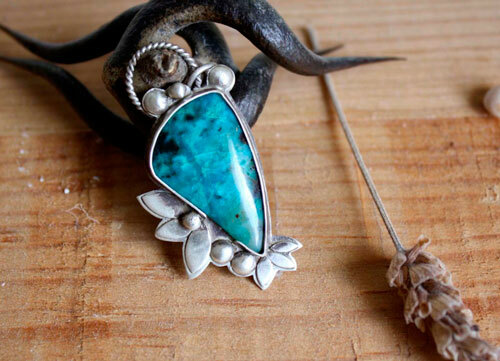 This pendant is made of sterling silver (925) made by hand in my workshop, and a beautiful chrysocolla. 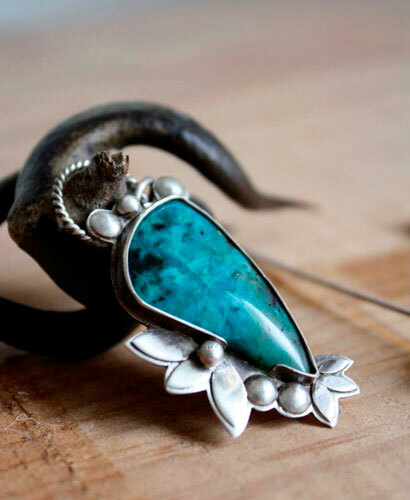 The pendant is designed around this claw shaped chrysocolla, which features blue tones, up to turquoise green and some black spots. Moreover, if it was the mythical garden of the Hesperides... this beautiful orchard containing the golden apples guarded by the nymphs of evening and golden light of sunset and the dragon Ladon. This is the place for the Eleventh work of Heracles according to Greek mythology. 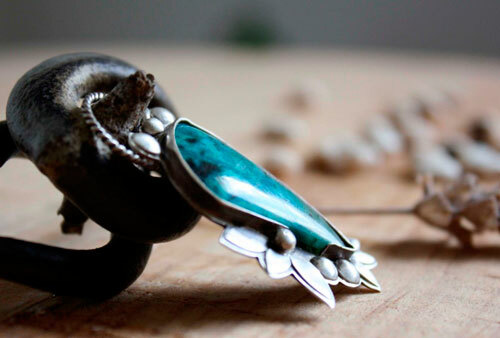 So I dressed this semi-precious stone by floral and plant motifs such petals. We also find in its ornaments, balls and hemispheres reminiscent fruit... and can be as famous golden apples. 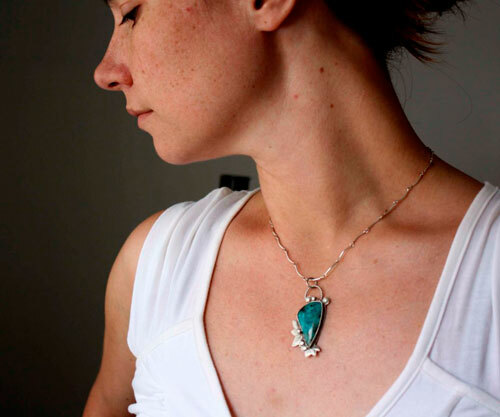 The back of the pendant is perforated to enjoy the most complete view of this chrysocolla. 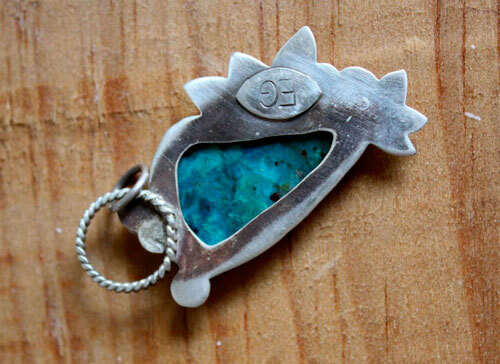 This pendant is named Kipos, which means "garden" in Greek. 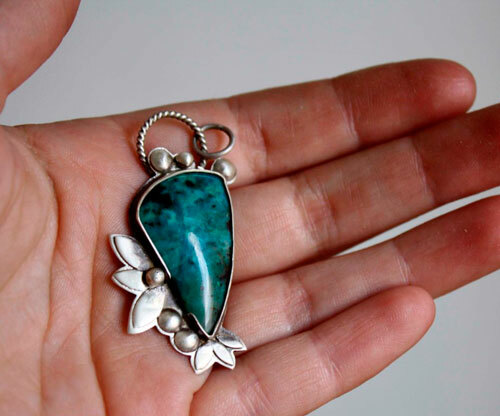 Tag: pendant, silver, baroque, unique, drawing, garden, chrysocolla, romantic, flora, plant, gift, Valentine’s Day, Mother’s Day, birthday, cabochon, semiprecious stone, flower, fruit, sea, Aegean, Mediterranean, Greece, greek, orchard, myth, mythical, mythology, Heracles, Hercules, legend, blueberry, fig, plum, Hesperides, Ladon, golden apple.